For the first time, we are welcoming back a previous guest to the Style Matters podcast! 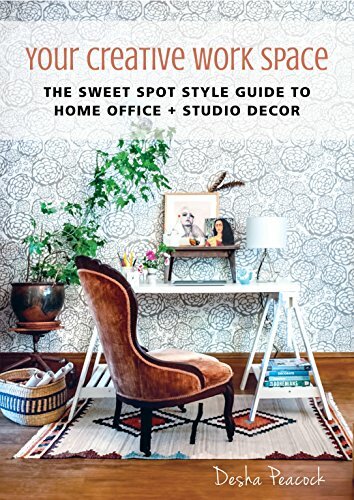 Desha Peacock has written a new book called "Your Creative Work Space" and we thought this would be a great time to check in with her. If you do anything at all creative, whether it's with a paint brush or collaborative problem solving, you need to honor that work by creating space for it in your life. We talk about how to get focused, how to eek out a space for yourself when you have no room or no budget, and how the traditional office might not work for our modern times. We felt an immediate connection to Desha during our first interview with her because she so beautifully articulated why style matters. So if you haven't already, give that one a listen, too! We were tickled to see so many of our past guests in Desha's new book! Listen in to these great episodes and make sure to check out our first interview with Desha! Desha's daughter in her creative space.